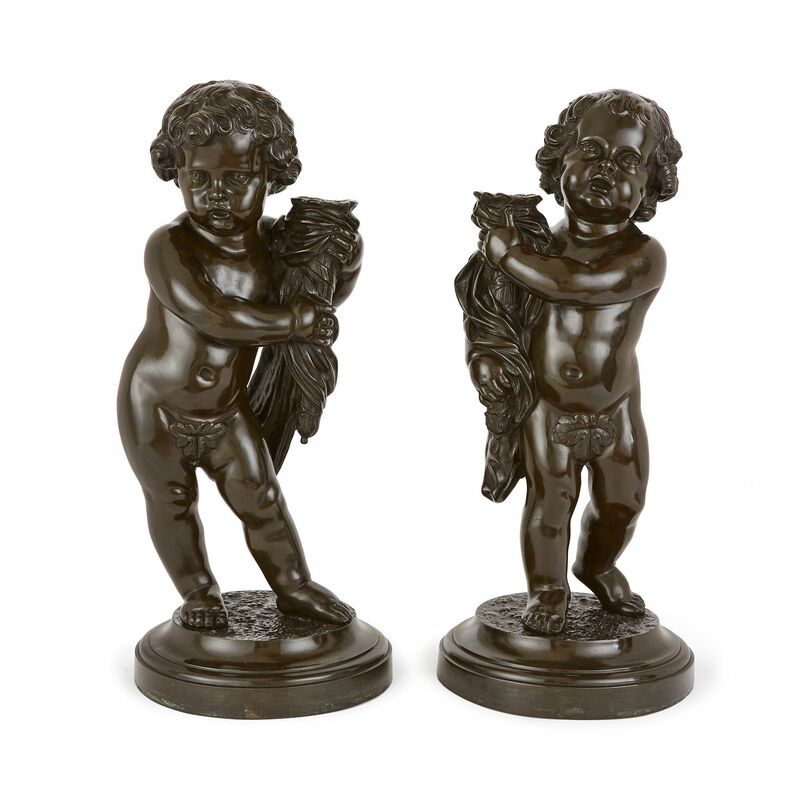 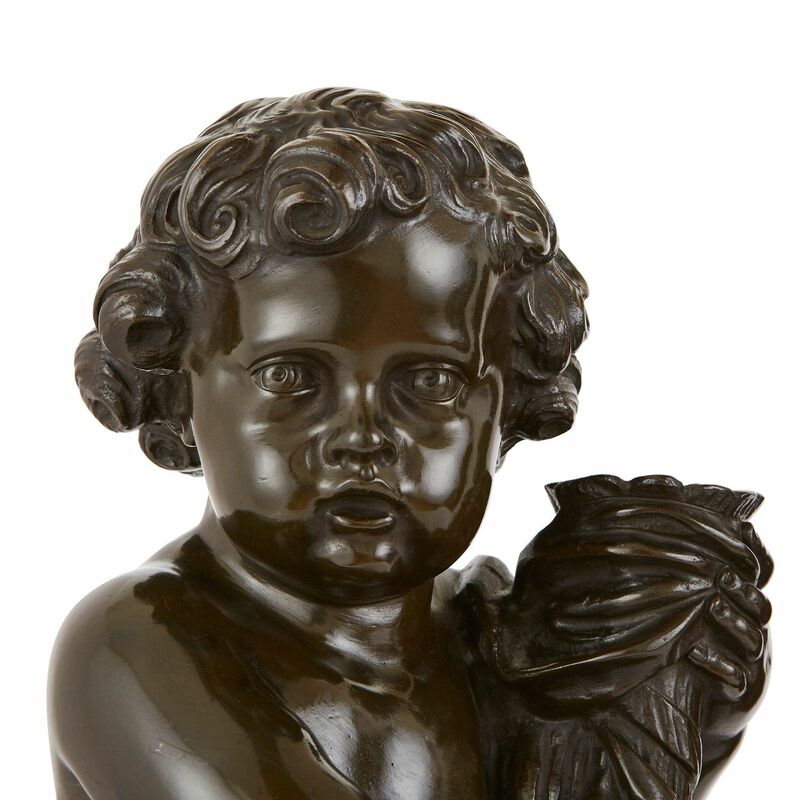 Each bronze cherub is shown holding a torchere and standing on a round base. 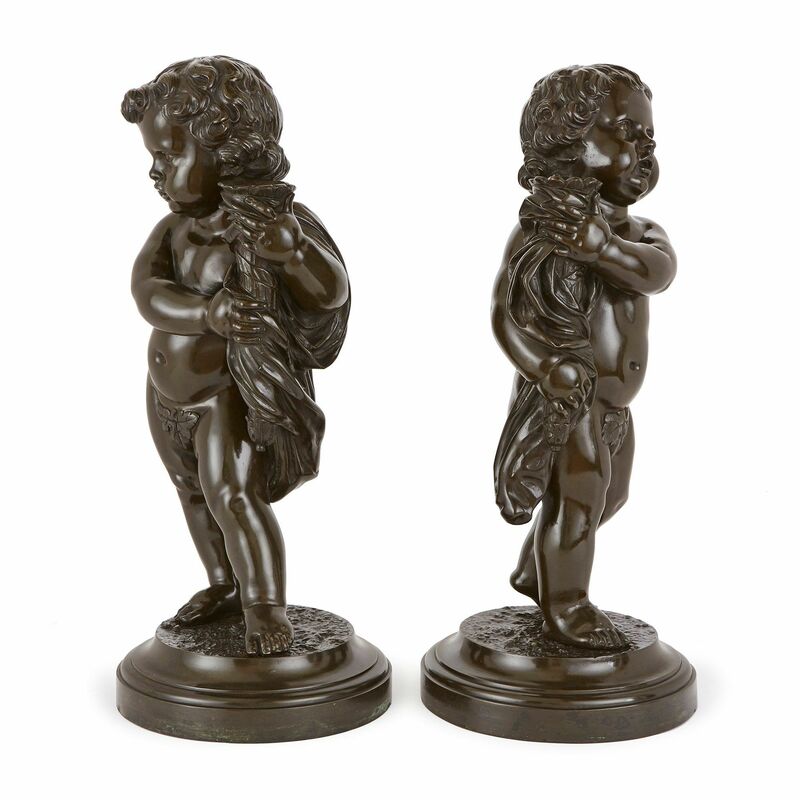 They are based on the model by 18th Century French scluptor Claude-Michel, known as Clodion. 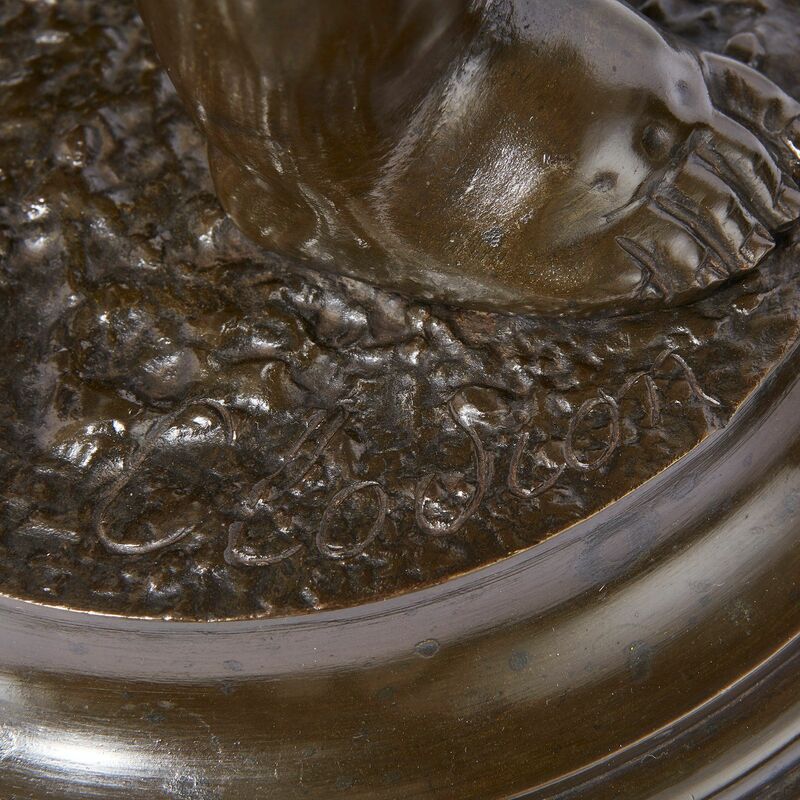 The bases are signed 'Clodion'.